Rider safety is an issue that competitors of all levels are concerned about. With Leatt’s GPX 5.5 neck brace you’re getting the most comfortable and safest option for spine and neck protection out there. The GPX 5.5 is the most advanced CE certified neck brace available and is designed in a way that maximizes performance, safety, comfort, and adjustability. At the heart of the brace is Leatt’s Alternative Load Path Technology (ALPT) which combines SureFit adjusters, a CoreFlex thoracic strut, a semi-rigid chassis, and numerous crumple and breakaway zones to ensure that you have the greatest chance of surviving a crash. The key to these components working together is a proper fit tailored to each individual rider. The SureFit adjusters can be adjusted to your unique fit in less than 30 seconds and the thoracic strut also takes only a few seconds to choose between one of four setting angles. 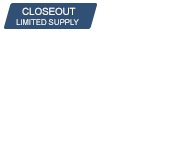 With lower side areas and simple pop off shoulder pads the GPX 5.5 has plenty of adjustability for kids and young adults who are still growing. The brace also has no problem adjusting to your individual neck length or helmet rim profile. All these safety features are built into a package that is easily cleaned, has an easy break-in, is light, and compatible with nearly all helmets and chest protectors. If you’re looking for maximum neck protection and want more peace of mind, the Leatt GPX 5.5 combines the most comfort and greatest safety to keep you confident while riding your hardest. Our grandson has had 3 bad incidents since we upgraded to this neck brace. We feel had he not had this he would have been seriously injured but escaped with only a few cuts and bruises. Bought one of these for all 3 of my sons a while back. I rarely review products but after my 10yr old lost control and hit a tree head on I felt it necessary. In his case the neck brace did exactly as advertised, protected his neck and spine. There were no injurys sustained to either of these areas and I attribute that to this product. When it comes to neck braces and helmets spend the money for the good equipment. Thanks to Leatt for a great product and Rocky Mountain for top notch customer service. My child does not ride without it. Great equipment, my 8 year old son wears this every time he rides. Adjustable as he grows, comes with the shims you need, and easy to do. Easy for my son to put on and he hasn't complained about wearing it. This brace does fold up for easy storage. I do recommend this safety equipment. I bought two of these for my 7 and 5 year old boys, They have only had them for a few weeks but they have both fell multiple times, None of them have fell hard enough for the brace to do what it is supposed to do but I can say that it should made me feel a whole lot better knowing that they had them on when they did. Well constructed, Very adjustable. <br>After 2 years of riding these braces are still like new, My boys toss them around and really don't take care of them and yet they are doing great, Highly recommend these braces. My son is 14 , 5'10" an 125 lbs. Just wanted to make sure we purchase the proper neck brace size. Would I be looking at an adult or the Leatt GPX 5.5 ? BEST ANSWER: We love our leatt neck brace, our son is only 9 and he is pretty short. I wonder if they have a measurement of neck so you can figure out the better size. But my guess Bc he is so tall I would go with an adult size . I believe you are suppose to measure the circumfrance of the chest. There are size charts online. Should fit fine. My son is 6 foot and 145lbs and is still wearing the junior neck brace. adult my nephew has one he's 12 and under that weight and size it has room to grow. He's a good size kid I would go with the adult medium- large. I think the gpx 5.5 would be the best fit. 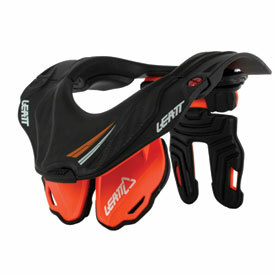 Leatt 5.5 Jr with Fox R3 chest protector (Small: 50-120)? I have heard that people have had success with both the Leatt 5.5 and the Fox R3. Is there a preferred way to do it? It is nigh on impossible to have the neck brace completely under the chest protector, do you tuck the front and leave the back over? Thanks! BEST ANSWER: We use the Leatt 5.5 with the Fox Raptor, the back of the neck brace will slide under the chest protector and the front will fit perfectly with in the chest protector. They work well together.